Microneedling — Almost 100% of people will notice a difference and vast improvement in the appearance of their acne scars with microneedling. 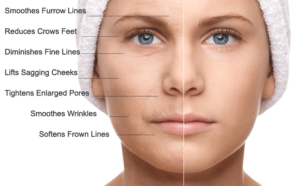 A microneedling treatment is a procedure that uses a bunch of tiny needles to puncture the top layer of skin. This process works to rejuvenate your skin by boosting collagen production, which in turn, reduces the appearance of wrinkles, fine lines, and elevates the overall texture of your skin. Full face starts at $195. Or add a facial at 30% off to allow the Aspect cosmeceuticals to penetrate deeper into the skin and hence be more effective. Call or book online with Emily or Kristy today.